1. Be sure your bird is healthy by having annual check-ups. Birds will hide any signs of illness as long as possible and may be near death before you realize it. 2. Be sure your bird is on a "good" diet. This will greatly increase his chance for a healthy life and may eliminate any nutrition-based problem behaviors, including feather destruction. 3. Be sure your bird has a LARGE enough cage that is at least twice the width of the birds' wingspan so he has plenty of room for flapping his wings and exercise. Spending time out of his cage and away from his cage (on a playstand) may decrease "territorial" problems and other behavioral problems such as excessive screaming. 4. Teach your bird the "step up" or "up" command and the "down" command. This will help to establish control. 5. Spend quality time every day interacting with your bird. 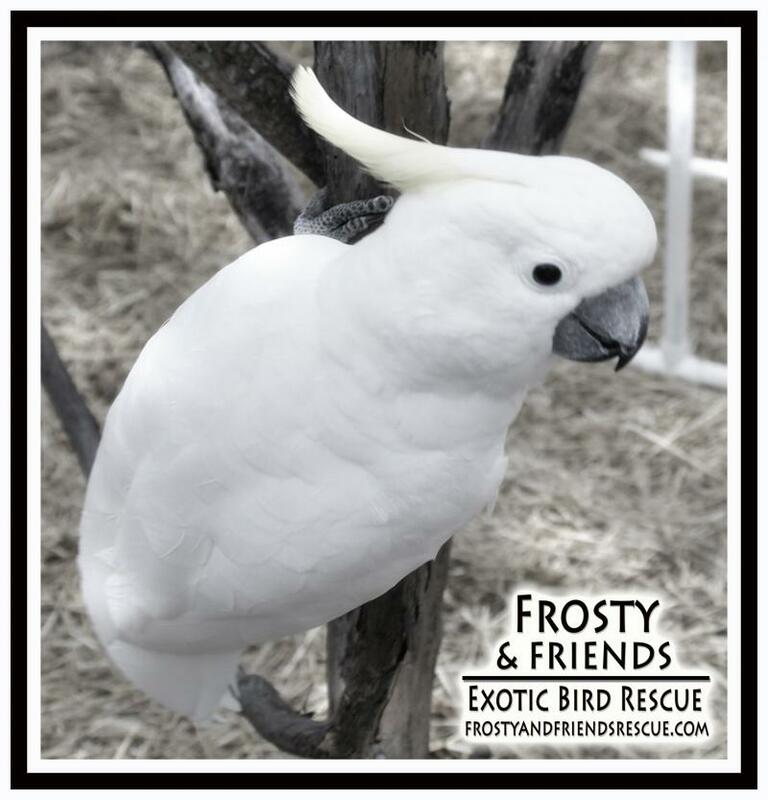 Just 10-15 minutes of one-on-one time will help your bird to keep his "tameness". 6. Be sure your bird feels like a "part of the family". Birds are flock animals and love to feel like a part of the "flock". Never place your bird alone in a room. 7. 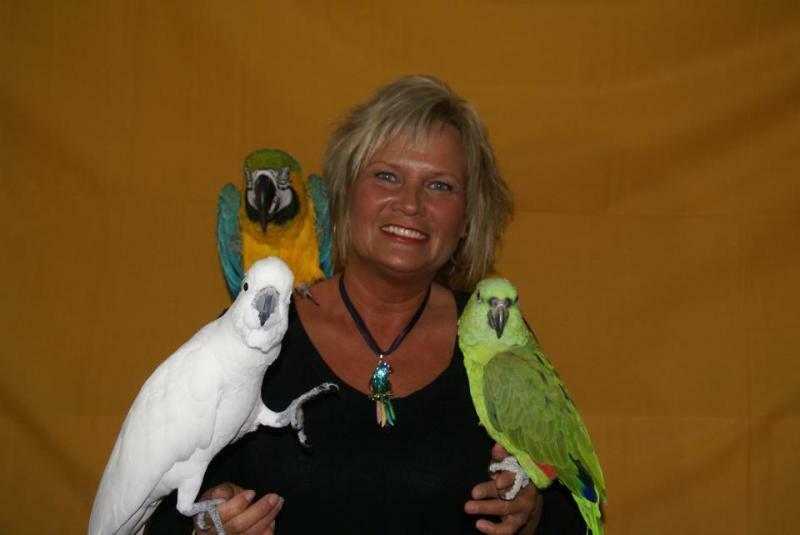 Socialize your bird with family and friends that you trust. Try not to let your bird become too bonded to one person. 8. Be sure your bird has 10-12 hours of dark and quiet sleep every night. They must have uninterrupted sleep. A well rested bird is less likely to have behavioral problems. 9. Let your bird know that he is always safe with you. This will establish trust! 10. Remember, your bird is a wild animal trying to adapt to living in your home. Any bird, no matter how healthy or well trained may still be messy, noisy and destructive because "HE IS A BIRD!"